NISA Nuzzles Vol 2 Nuzzle 22 December 5, 2018 - Are your temp workers on board with D & I? 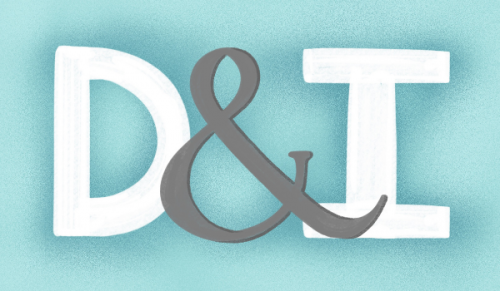 So what is D & I? Ok Peeps we are talking about Diversity and Inclusion in this week’s Nuzzle blog. Diversity and Inclusion are essential in building a strong foundation for any organization. Through education, communication, training, and organizational policies, companies can promote inclusion and highlight the importance of an accepting culture. Referred to as D&I, diversity and inclusion is a focal point for progressive and successful businesses across the globe including Comcast, Salesforce, and Northern Trust. According to research from consulting firm McKinsey & Co. “organizations with more racial and gender diversity bring in more sales revenue, more customers, and higher profits.” So not only is incorporating D&I important for happier, more innovative teams- it’s just good business. Communicating these values can feel easier when connecting with a permanent team of employees; internal messaging, resources, and atmosphere are all helpful in underpinning the importance of inclusion and diversity. When it comes to your temporary workforce, however, it can be more difficult to convey. While temporary workers are only with you for a limited time, you want to ensure that all involved in your operations are committed to the same ideals. You’ve established that diverse perspectives, a respectful and accepting environment, and positive interaction is key – so how can you promote these principles within your workforce, to both permanent and on-demand? Speak with your HR team to determine what challenges your team experiences with inclusion. Additionally, gauge the overall temperature of your organization. Is diversity and inclusion even on the radar? If so, what can you do to encourage and support? If not, what will you do to educate and expand? Prompt appropriate conversation surrounding ethnicity, religion, gender and sexuality, family status, physical and mental disabilities, and economic and educational status to better understand diversity in your workplace and what you can do to improve. Develop a consistent approach to how you will communicate the topics of inclusion and diversity to your permanent employees, then focus on how you can apply the same principles when welcoming temporary workers. Look at your general hiring process and ascertain areas where it makes sense to share information on diversity and inclusivity. Make your messaging direct and to the point: you don’t generally have the same amount of time for ongoing education with temporary workers. Continue to promote this messaging on a day-to-day basis through your company communications and actions. One of the most effective ways to promote inclusivity it to practice it among your permanent employees. Demonstrating inclusive behavior helps newcomers to understand how to handle different scenarios and model inclusivity themselves. Ensure that your expectations are understood of when to escalate an issue to a supervisor or HR. It’s also crucial that your team feels comfortable and confident with the resources given to them. Begin screening for disrupters early on. During an interview process or even in a job posting, be clear on the company stance and expectations surrounding diversity and inclusivity. Let anyone who joins your team know that you employ a diverse, accepting team and that they are expected to respect that. If you sense problems from the start, you can avoid integrating a worker who will disturb the company culture. Make sure that those in leadership roles and responsible for supervision are well-equipped to notice diversity issues and how to appropriately solve them. Strong, clear communication is vital, so make this a cornerstone in your efforts in building an inclusive organization. Take the time to properly craft a diversity and inclusion plan and goals for your company. Work with others in different departments to learn of different insights and methods. Make it a priority to continually educate yourself on the constantly shifting world of diversity and inclusion. Reach out to professionals who have expertise and insights in the various realms of D&I. GOT STAFFING? KNOW AN AGENCY THAT WOULD JOIN THE NETWORK? CONTACT US TODAY! YOU HAVE QUESTIONS NISA HAS ANSWERS!! !